Sunday, September 18th, 2016, will see a new monument unveiled at The Park. 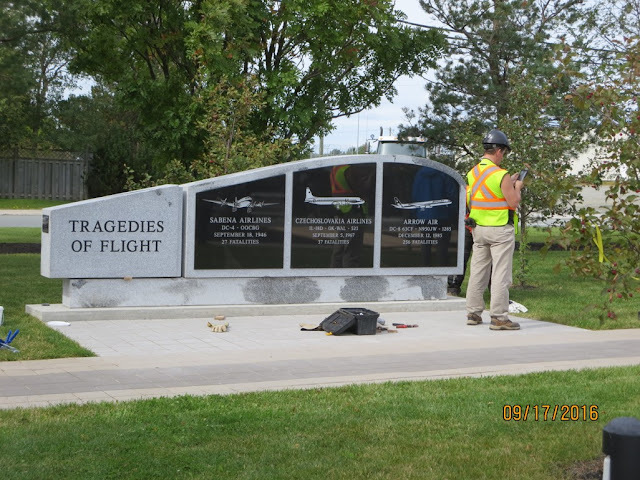 The new memorial wall is called the Tragedies of Flight! The wall is in memory of the three Gander crashes - Sabena 1946 (this is the 70th anniversary), the Czechoslovakia CSA crash in 1967 and the Arrow Air Disaster in 1985. Following the "Battle of Britain" ceremony [Sunday, September 18th, 2016] that starts at 10:30 a.m. at the Anglican Church this Memorial Wall will be dedicated by Rev. Wesley Oake and unveiled by the Belgian Ambassador to Canada. Rev. 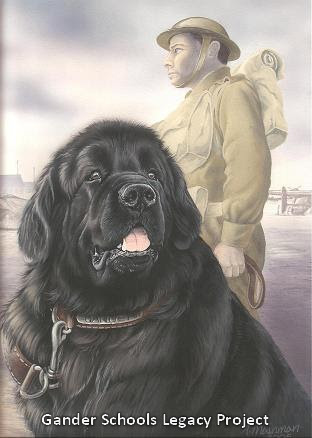 Oake is the Honourary Patron of The Park and the Belgian Ambassador is in Gander for a number of ceremonies marking the 70th anniversary of the Sabena Airlines crash of September 18th 1946. We apologize for this short notice because we weren’t sure the Wall was going to make it here on time. But the Wall did make it here on time and was installed today [Saturday] and we are very thankful for the participation of the Belgium Ambassador. This photo of the new Memorial Wall was supplied by committee member Carol Walsh and was taken today [Saturday] during its installation. The Wall is now covered awaiting the unveiling! After the unveiling we will have an update here on our website with accompanying photos! We certainly hope you can join us for this special event!